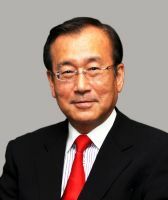 UNITED NATIONS (IPS) - Emerging from a U.N. conference addressing the role that the world's mayors can play on nuclear issues, Hiroshima's Mayor Tadatoshi Akiba continues to call for a rapid end to nuclear weapons. UNITED NATIONS (IPS) - When the last review conference on the Nuclear Non-Proliferation Treaty (NPT) ended inconclusively - after four long weeks of protracted negotiations - the meeting was described as having accomplished "very little" with no substantive agreement. UNITED NATIONS (IPS) - A month-long Review Conference on the Nuclear Non-Proliferation Treaty (NPT) began Monday with a predictable target: Israel. WASHINGTON DC (IDN) – The quinquennial ritual of preparing for the Review Conference of the states parties of the Treaty for the Nonproliferation of Nuclear Weapons (NPT) will reach its climax (or anticlimax) from May 3-27 in New York. Action plans for the three main pillars of the NPT – nonproliferation, disarmament and peaceful uses of nuclear energy – are being composed in the hope of achieving a consensus.